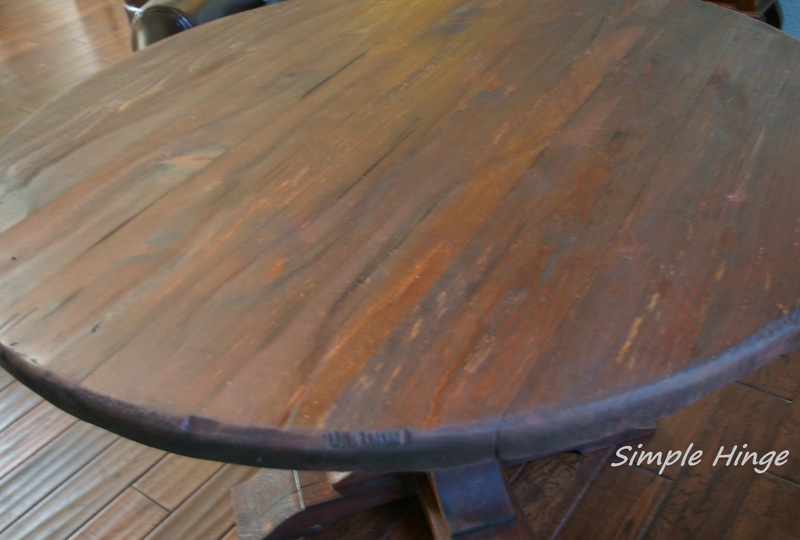 This salvaged dining table was stripped of it’s layers of different finishes. 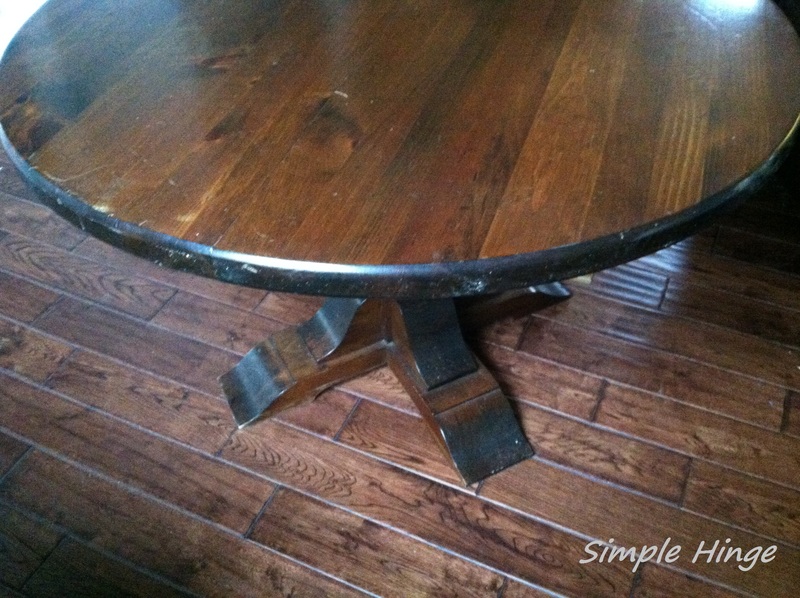 It was then hand carved to give the look of decades of wear and tear. 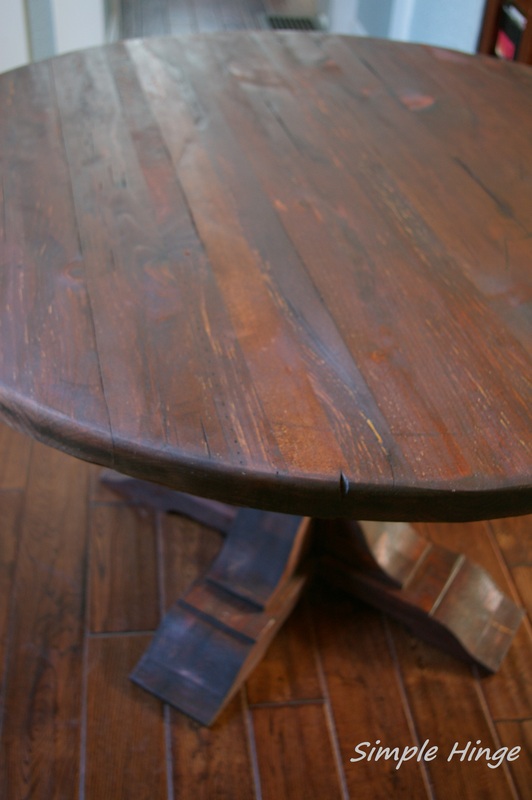 The table top, both leafs and the pedestal were then stained a red mahogony to highlight the stress fractures, grooves and chips within their surfaces.